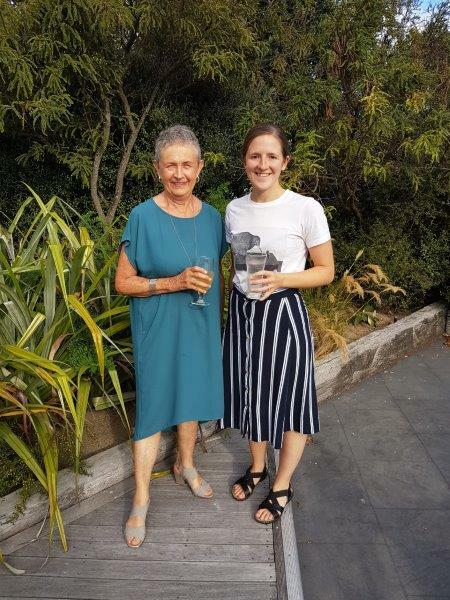 This week’s speakers were Rachel Carr (on the right in the photo below), fundraiser at Wellington Free Ambulance (WFA), and former ADG Lee Wilkinson of Wellington Rotary, who is a Trustee of the Wellington Free Ambulance Trust. Rachel began by reviewing the 90-year history of the WFA. It began in 1927 as an initiative of the then Wellington mayor, Charles Norwood, whose family are still involved as donors. It remains the only free ambulance service in New Zealand, and probably in the southern hemisphere. From its humble beginnings, the WFA now has nine stations from Kapiti and the Wairarapa to Wellington City, 35 ambulances, and 160 paramedics employed. The vehicles travel 2.5Km in an average year and deal with 48,000 cases. First Aid ‘best practice’ has changed dramatically since 1927, as has the skill of the paramedics, who now take a 3-year degree at Whitireia or AUT in Auckland, and then a one-year internship. Funding the service is a constant challenge. Government covers 75% of the costs but the rest, $4M, has to be fundraised. Rachel went on to describe a new venture ‘Ultrasound’, for which more funding is sought. Ultrasound machines can be installed in ambulances and can provide better and quicker diagnoses, which can be relayed to the hospital in advance. The plan is to conduct a trial with a few machines before roll-out. This will cost about $200K, of which $60K has already been raised. Lee Wilkinson talked about the WFA from a Rotary viewpoint. Rotary has been a staunch supporter in the past, funding a new ambulance, the Kapiti station, and vehicle fit-outs. She argued for a cooperative approach among local clubs, to scale up the funding and share the branding. 'We should work together for more impact', said Lee. In answer to a question, Rachel noted the cost trade-off between acquiring new technology such as Ultrasound and putting more ambulances on the road, and the respective roles of the ambulance and fire services. Original generation time 1.3419 seconds. Cache Loaded in: 0.0174 seconds.